On Thursday morning, Atletico Madrid received the news they had feared: an appeal against their transfer ban had been rejected and the punishment would be upheld for the duration of the summer transfer window. This means that Los Colchoneros are unable to register new players until January 1st 2018 as was the case with Barcelona in 2015. 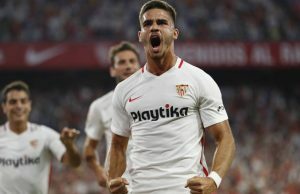 Players who were previously on loan can be registered upon their return and Diego Simeone will have to rely on individuals like Luciano Vietto, Bernard Mensah and Matias Kranevitter to give the team a boost until the winter transfer window. With that said the club can still sign players and it is understood that Atletico will continue to press on with their summer business irrespective of Thursday’s decision from the Court of Arbitration for Sport. The intention is to purchase players and leave them at their current club until the January transfer window which ensures they will remain playing football and maintain match fitness. Of course it is incredibly difficult to analyse and judge Barcelona signings given the strength of their starting XI but it is interesting to note that the two players the club signed when under their own restrictions have both struggled to make any impact at all after spending six months not playing. Arda Turan and Aleix Vidal were both struggling for match fitness and had to start their Camp Nou careers from a stationary position once January arrived and they never recovered. Now this could be a perfect solution for Sandro Ramirez who could now stay with Malaga until the winter before being officially registered by Atletico but an issue may arise in the form of Alexandre Lacazette. The Frenchman was set to be the marquee arrival of the summer whether that was as support for Antoine Griezmann or his direct replacement. After a stellar career with Lyon, the 26-year-old was set to finally move to an elite club and play regular Champions League football. It would be incredibly difficult to try and persuade him to sit tight at Lyon for another half of a season, especially after the club has already given him an emotional and well deserved goodbye. This could well see the forward fall back onto the market with Arsenal known to be very strong suitors. Of course it will depend on the player himself, he may be on board with remaining in France for a short period, but after finally making the decision to leave Lyon and move his career forward it would be a major surprise if this happened. On paper, nothing has really changed with regards to departures at the club. It is incredibly likely those within the club’s inner circle will have known how likely such a verdict was at the beginning of this week and it is even more likely this will have filtered down through to Griezmann’s entourage, rather interestingly in the same week where he is understood to have made it clear to the Madrid club that he wishes to depart for pastures new. Manchester United were attempting to cut a deal with payments paid in stages but with Atleti now unable to replace him until January it is a case of paying the buyout clause or bust. 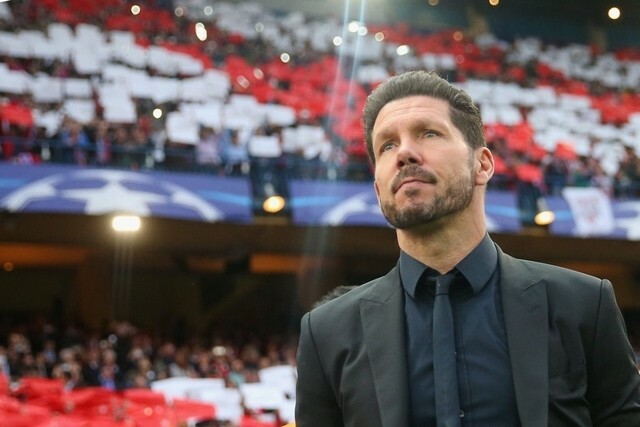 Simeone himself has committed to the club for another season as they look to settle at their new stadium but it is likely that such a registration ban will only serve to further his frustration stemming from an inability to quite get over the line with regards to lifting the European Cup. His contract was reduced last year and it will now expire in June of 2018 and it will be an incredibly difficult task to reach another Champions League final without properly rejuvenating the squad, at least until January arrives. Still Atletico will carry on and attempt to move forward as best they can and they deserve credit for that. In recent years, they have stemmed the flow of stars leaving the club and have consistently fought against and to a degree broken the Barcelona/Real Madrid duopoly in Spain. 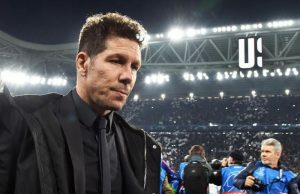 Thursday’s verdict will only serve to make their life more difficult, but with Simeone at the helm it is certain that he will drag every single drop of effort out of his players until new ones can arrive in January.